Safety is a primary concern for pet owners, so it is important to understand how CBD may be beneficial for your pet. Below, we explore how this cannabinoid influences animals and whether it is okay to safely administer to your furry friends. 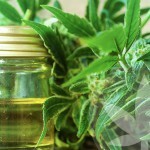 CBD oil is used as medicine, as a health supplement and in cosmetic products. Made from the flowers, stalks and leaves of the cannabis plant, it contains high levels of cannabidiol, but at most, trace amounts of THC. Autism spectrum disorder (ASD) encompasses several conditions linked to autism. With the diagnoses of ASD on the rise, is it due to an increase in cases or better identification of ASD symptoms? We review groundbreaking research that could point to the endocannabinoid system as a means of improving the treatment of ASD. The number of people living with inflammatory bowel disease (IBD) is on the rise. With scientists still unsure of why the disease develops, we must instead turn to reducing symptoms as much as possible. With that in mind, research suggests cannabinoids may help the treatment of IBD. Continue reading to find out more. Much of the Western world is still undecided on how to move forward with both the legality of cannabis and future research projects. 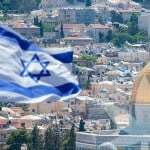 However, one country paving the way is Israel. At the forefront of medical cannabis research, they conduct more trials than any other country. To find out more about their exciting developments, continue reading. 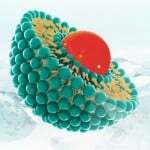 Liposomes are an exciting development in skin cream technology. In the presence of these protective vesicles, active ingredients can be delivered in higher concentrations to targeted areas in the body. Liposomal creams allow for maximum potency with no toxicity. Up to 70% of us experience acute back pain throughout our lives. Thankfully, most occurrences of lower back pain can be eradicated with simple lifestyle changes. Chronic back pain, however, can be far more severe. Find out how staying active and having a positive mindset can work wonders for managing chronic back pain. CBD is a multi-functional cannabinoid which can improve damaged sleep patterns. Below, we look at whether CBD oil helps you sleep better and why it may be a suitable alternative to prescription sleep aids.